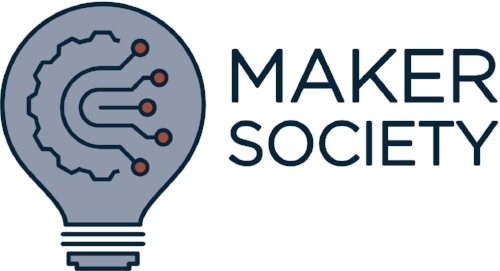 "A place where members of a community can come together to design, build, code, and make projects using shared tools, equipment, technology, and ideas." The best way to understand a makerspace is to experience one and talk to the community members who use them to create projects. All the pictures on this page show makerspaces and the different ways they are used. 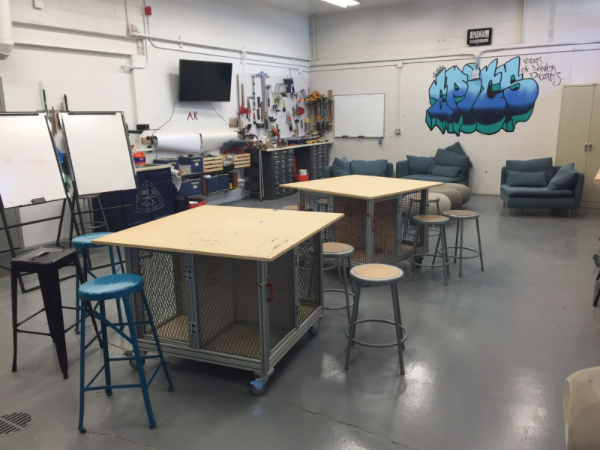 The Blaster Design Factory (BDF) is a makerspace which has among other things whiteboard tables, a prototyping cart, T-shirt making equipment, and most importantly, people using it. Here you can find space captains to help you with projects and the makermart to purchase materials. The Digger Design Lab is a makerspace with sewing machines, work tables, and even a wood shop for machining wood. The Outlet makerspace contains oscilloscopes, function generators, power supplies, a lot of electronic components, electronic work tables, and computers. The CECS machine shop has many lathes and milling machines as well as two large CNC routers and a welding booth with both MIG and TIG welders. Other useful equipment includes band saws, a drill press, and a large saw. The Hot Shop is the lab space that houses a variety of metal casting and glass blowing equipment.